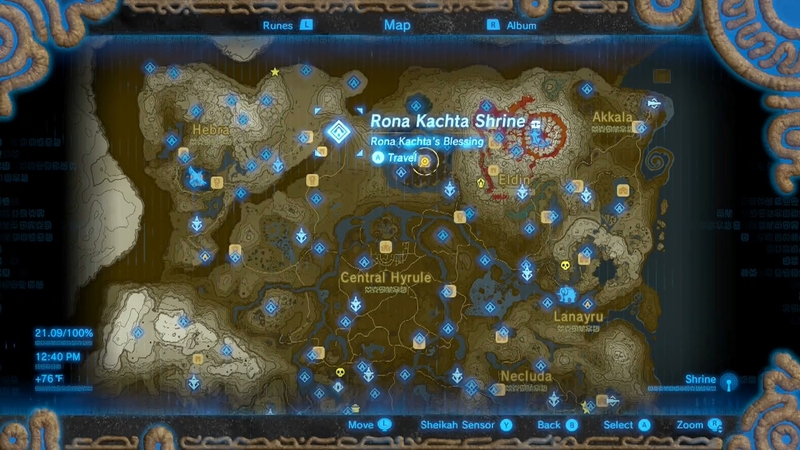 Rona Kachta Shrine is a Shrine from The Legend of Zelda: Breath of the Wild. It is located in the Forgotten Temple in the Hebra Mountains region of Hyrule . The Sheikah Monk Rona Kachta offers a "blessing" trial and he will give a Spirit Orb to Link upon completion of the trial. Head to the northeast of the Tangar Canyon to find the Forgotten Temple. 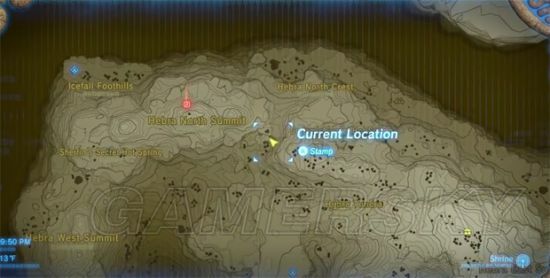 Dinraal is often in this area so you could pick up a dragon part for other shrine quests. Maag Halan - Near the Keo Ruug Shrine you'll find Damia, who gives you the shrine quest "The Test of Wood". Fight the enemies which stand in the way of you and the Mido Swamp. 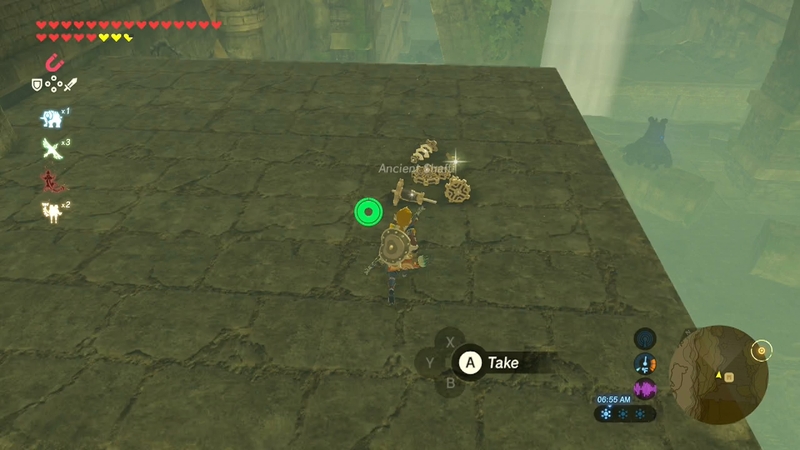 Head past the Rona Kachta Shrine inside the temple and there will be three chests that include the Tunic of the Wild, Trousers of the Wild and the Cap of the Wild.